What is JTAG and how to make use of it? Satellite-systems expert Kongsberg Spacetec benefits from XJTAG’s high functionality, cost effectiveness and ease of use when building high-performance processing boards for its ground stations. The XJTAG Development System helps engineers speed up prototyping and optimise test coverage, while XJRunner enables Spacetec’s manufacturing partner to repair production boards efficiently on site. The ground station systems perform functions such as signal processing, communication and networking, and use high-performance servers featuring PCI cards designed by Spacetec’s electronic engineering team. The server cards use high-bandwidth standards such as PCI-X and PCI Express, and include multiple high-performance processors, FPGAs, and high-speed FIFOs and RAMs. The boards are extremely complex and densely populated, and present tough test challenges from the beginning of design through to final production. Many of the devices are housed in BGA or chip-scale packages that cannot be probed or visually inspected. The XJTAG boundary scan system provides many features that help speed up test preparation, including XJDeveloper, a graphical application providing a simple-to-use interface, automatic scan-chain detection, and a large library of tests for standard parts. XJTAG’s high-level test description language, XJEase, delivers the flexibility of a programming language, such as loops, variables and flow control, for engineers developing device and circuit tests. Tests can also be re-used in subsequent projects, since device tests written in XJEase are independent of the specific circuit under test. “XJTAG helps us assess each design at an early stage, by supporting design verification and DFT analysis”, continues Øyvind Undstad. The built-in Design For test (DFT) feature allows engineers to see the board’s test coverage, while the advanced connection test helps pinpoint errors and is able to test a higher percentage of the circuit than most other JTAG systems. XJTAG helps us to assess our designs and reach high targets for test coverage. The XJTAG system provides the capabilities we need at a very competitive price, and is very easy to use. After taking delivery, we were performing productive tests within a matter of hours. Our manufacturing partner is using the XJRunner system, which can run the tests we develop in our labs. This allows most assembly defects to be identified at manufacture and repaired immediately, which saves shipping boards back to us for fault finding. Overall, XJTAG is helping us increase test coverage, quality and productivity. Kongsberg Spacetec AS, based in Tromsø, Norway, is a leading provider of satellite ground station systems for earth observation satellites. The company provides turnkey systems as well as specialised solutions for environmental and meteorological surveillance, such as sea-surface temperature measurement, cloud analysis, oil-spill analysis, or ship detection. 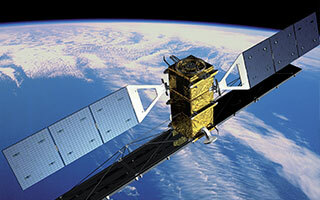 Spacetec also provides customer services including systems engineering, training, maintenance and support. Our experts will be happy to show you how the XJTAG tools can help you diagnose faults on your board as well as cutting test development and repair time. Questions? We'll call you back. We're here to help. Enter your contact details and one of our test specialists will call you back shortly. Get a free test setup. Evaluate the XJTAG system with full functionality for 30 days and get the first test project set up for your board – for free. No obligation to purchase. XJTAG provides easy-to-use professional JTAG boundary-scan tools for fast debug, test and programming of electronic circuits. The products work with industry standard IEEE 1149.x technology, which is embedded in many chips. Copyright © 2019 XJTAG Limited. All rights reserved. Part of Cambridge Technology Group.